QUESTION: Hello Martin, In your ‘Why the Crash & Burn is Public not Private’ post of 18 March, you have an image showing World Capital Investment. Is that the sequence money usually follows at this time? And, what exactly is the ‘alignment’ you mention towards the end of the post as well as elsewhere? Best Regards and my condolences on the loss of your friend, Mr. Edelson. ANSWER: Historically, capital tends to flow first from the financial capital of the world to the outer provinces or state. This was how it functioned in the Roman times as was the case for postwar when US capital flowed outward to rebuild the rest of the world. Then what happens is as an empire begins to die (in this case Western Culture), the capital flow reverses and then moves back toward the core economy which is the financial capital of the world. Here is a chart of all the bonds listed on the New York Stock Exchange. 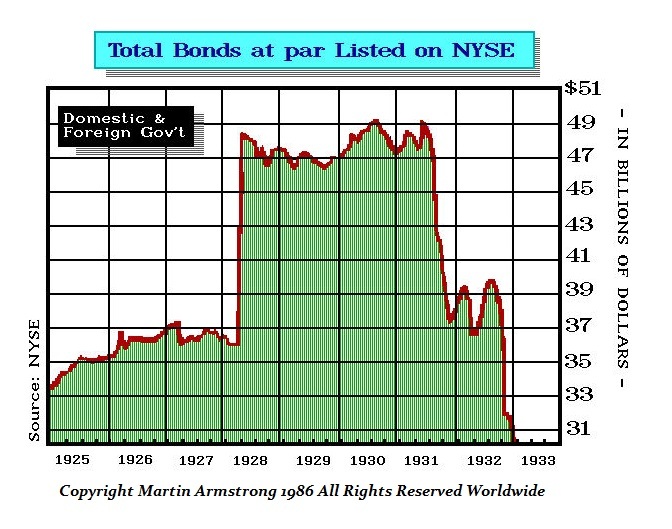 When the Sovereign Debt Crisis hit in 1931, government simply defaulted. The bonds were then delisted never to come back again. What transpires at that moment when government moves into a Crash & Burn, is that all tangible assets rise together, albeit at different rates of advance. This is what I call the Great Alignment. Therefore, we will see gold rise WITH the stock market – not counter-trend. Likewise, real estate survives provided you do not enter into a Dark Age when not even gold survives – only food. 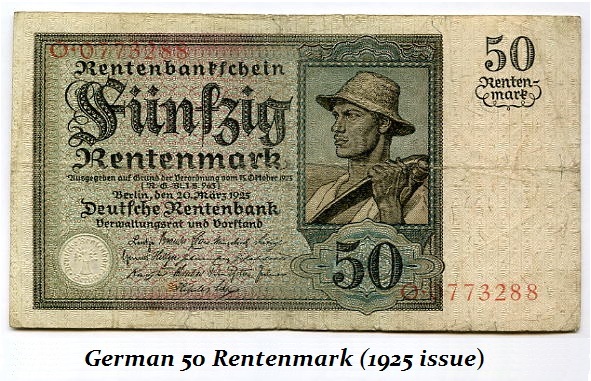 If we look at the German Hyperinflation caused by the Communist Revolution in Germany in 1918 inviting the Communists of Russia to take Germany and the formation of the Weimar Republic, all of this political-economic chaos ended with a new currency being issued following the fall of the Weimar Republic. That currency was not backed by gold, but instead real estate.